The officers reached a deal on the disposition of these oil fields. Under that deal, it was decided to award the Syrian Kurdish YPG militia the richest Syrian field as a prize for its role in leading the SDF in the capture of ISIS’ de facto capital of Raqqa..
Now go take back Kirkuk from IRGC / Turks. Please God, give Kurds MORE Kurdistan! Why? So Israel can have a foreign base on Iraqi soil for its subversions? That would be great! Wonderful idea! Wattamatta? You got a problem with your eyes? Everywhere you look you see Jews…but you can’t spot a single Islamic imperfection. Try a brain enema. It is Iraq, Iran and Syria. There exists no country such as Kurdistan. Kurdistan at least a real country under foreign occupation. The occupiers are western imperialist creations. Well, there was no country as Palestine. And look what happened, now there is. At least throughout history, there was always a Kurd sect, with own language. Where did Palestinians propr up from?! Where did Palestinians propr up from?! They came from Egypt, Sudan, Jordan, Saudi Arabia, Libya, Lebanon and the Gulf States. In fact, Yasser Arafat was born in Egypt, not Jerusalem! Palestine has been country since BEFORE CHRIST…. go read your history books you uneducated pillock they Greeks called it Palestine when they where still inventing democracy…. wrong Kurdistan became a country as soon as it declared it was a sovereign state, much like america ceased to be a British colony when it declared independence, or do you think america is still a British colony because Royal Britannia didn’t recognize its independence? The Kurds deserve a country of their own. Unlike the Palestinians, the Kurds have lived in this area of hte middle east for millenium, having been abused and marginalized by their Arab/Muslim/Persian masters. They have their own language, culture, and the ability to govern. The Palesetinians are a MYTH. Historically, they are a mixture of immigrants from surrounding Muslim countries who wanted to work for the flegling Jewish state. Many are Jordanian (Jordan really is the Palestinain state). Keep telling yourself that lie. That is the TRUTH man. Arafat invented the “Palestinian People”. Israeli’s are a Great People. during the Syrian War their hospitals saved thousands of Syrian and other folks lives by treating them as human beings in their hospitals. The first clear use of the term Palestine to refer to the entire area between Phoenicia and Egypt was in 5th century BC Ancient Greece, when Herodotus wrote of a “district of Syria, called Palaistinê” in The Histories, which included the Judean mountains and the Jordan Rift Valley. No Ryan. Palestine doesnt exist it was only mentioned as a country by a Roman emperor who wanted to get rid of the Jewish state. Before that it was Israel and it will always be Israel!! Haha…The Region was named Palestine after the Jewich rebellion against ROM. Also Palestine came from Philishtim-which mean INVADER in jewish. Also the so called Palestine where not Arabs. And it was never a country.It was only a name for a region. Additionally, The Ottoman Empire relocated thousands of “Musselman” families from the Bulkans to what is now Israel in the late 19th Century in an attempt make it productive. The relocation experiment never amounted to much though. Now as to the Kurds, they are the ancient Medes, the more powerful half of the Medo-Persian Empire. They have occupied that area of the Middle East since the time of the Assyrians. Also, Salidin, the guy who gave the Crusaders fits, was a Kurd. Just some historical prospective. Very well stated mate….and totally true; it is time for the Kurds to be treated fairly and granted their own country with a decent source of income. I totally agree with you Shep. The Arabs invaded Israel, they should go back and leave Israel. Go back to Yemen, this is where the Arabs originated from. The Kurds are surrounded by enemies from Iran, Turkey, Iraq, and Iran, however, Palestinians are backed by more than 20 Arab countries. They get handouts and support from almost everyone. Kurds are descendants of the ten northern tribes of Israel. You have never been reliable. You make up so much stuff. About on the same level as Stratfor, which is a joke. Big loss for turkey. Major mistake not supporting Kurdistan, a reliable source of energy to turkey. Hard to believe. It should had sent troops to Kirkuk to defend the Kurds, and win the love of Kurdish people. Now more dependent on Russia than ever before for energy. 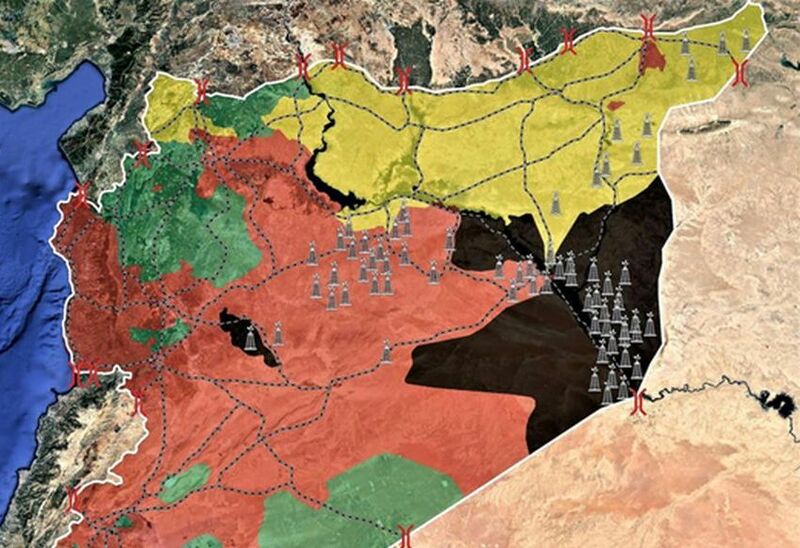 And it will have seat for negotiations with Syrian Kurds for the Syrian oil, and Syrian Kurds will have money to defend against turkey, allied to Syria. It will be surrounded by suspicious neighbors. It also means it needs the gas from Israel desperately!! Also means turkey now more dependent on the west, and NATO. And he is not a reliable NATO partner after buying weapons from Russia. NATO won’t defend turkey 🦃 anymore. When the time comes, it will be thanksgiving meal. It is ok to say Jews like wovens too much? Based on some of these tasteless comments, this is starting to sound like Newsvine on MSNBC when they used to have a comments section after each news story (all gone now, likely due to some tasteless comments which we’re seeing here). Too bad——and I hope it doesn’t come to that here as well! Did you consider that anyone with an agenda is able to post freely? My point being that it would be a shame to lose the comments section here on Debka the way it was discontinued on MSNBC Newsvine because some bloggers posted tasteless comments. Please censor racist hateful post, and insults. Disturbing to read. No one should say Muslims love dicks; as no one should say Jews love wovens. at work manipulating the English and the Slavic sides for a common ground.